After poring over a number of potential suitors, OMGPOP has decided to take Zynga up on its $200 million offer. 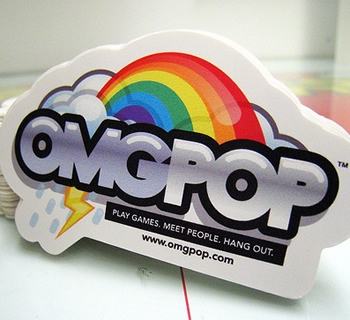 OMGPOP has been around since 2008 and has developed dozens upon dozens of casual games for mobile and web platforms. However, OMGPOP didn't become an obvious success until its overnight sensation "Draw Something" made its way to nearly every smartphone and tablet in the known universe. For those who haven't been exposed to it, Draw Something is a casual, Pictionary-like multiplayer game where players must choose from a list of words. After selecting a word, a player must then draw a picture which will help the other player identify the chosen word. There's little competition -- just the simple pleasure of watching your friends and family draw horrible, unidentifiable pictures that'll leave you scratching your head. David Ko, Zynga's chief mobile officer, said it isn't just Draw Something they are interested in, though. Ko claims he has "always had his eye on the company". According to OMGPOP board member, Bijan Sabet, the game developer's board unanimously decided to proceed with Zynga's buyout because "the price was good for all shareholders and employees". OMGPOP employees will continue to work on projects at Zynga while Daniel Porter, OMGPOP's chief executive, will become VP and general manager of Zynga New York. In an interview with Porter, the company is made out to be a fun-loving, free-spirited group of developers who just love to make games for the sake of making games. On the other hand, Zynga is a notoriously analytical, data-driven developer who creates games for the sole intent of vacuuming money from wallets everywhere. When asked about a potential culture clash, Porter said Zynga sounded truly sincere about letting OMGPOP keep its creative, easy-going culture. As of the announcement, Draw Something had been downloaded over 35 million times. The game is available for both Android and iOS.